The body is marked Myracle Model I, made for Mycro Camera Co. Inc NY, Made in Occupied Japan. 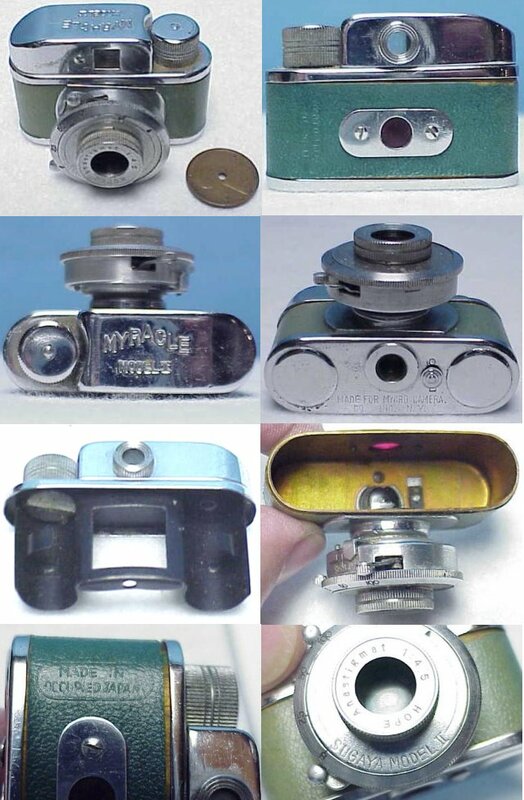 The lens is marked Model II, made by Sugaya Optical Co LTD. Sold in various leatherette colours. This version has a lock on the base and the top pulls out to allow the film to be loaded.